Sinn Féin spokesperson for Social Protection John Brady TD has urged young people to take a stand against the establishment and register to vote today. 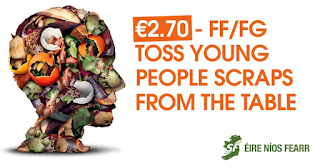 "The very first people to bear the brunt of Fianna Fáil and Fine Gael's austerity agenda was our young people particularly, those aged under 26. "Both Fianna Fáil and Fine Gael have enshrined age discrimination into the Social Welfare system with those aged under 26 in receipt of reduced Jobseekers payments. 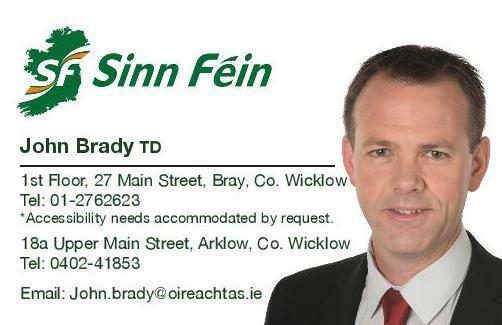 This discrimination has been in place since 2009 when first introduced by Fianna Fáil. "These cuts were a direct cause of the hundreds of thousands of young people that were forced to leave their families and their communities and emigrate. "Budget 2017 will mean that a person aged 18-24 will now struggle on €102.70 as oppose to €100 and a person aged 25 will now struggle on €147.80 as oppose to €144. A tiny increase for young Jobseekers while every other social welfare recipient will receive €5. "Voting is the one opportunity we have to make a change. I urge young people to take a stand, to fight back against discrimination and unfairness and to take on the establishment of this state. "Sinn Féin cannot do this on our own. It is time to rise up and make your voice heard."